I'm sure we've had this conversation in one form or another in the past. If you have the chance do you gravitate to the wild, or wild types (aka domesticated wild form) or would you rather go for some fancied up version of the fish (angels, guppies etc). Would love to hear what people are into. Oh this is always a tough topic and can have some interested comments. I have really jumped into the wild and wild types fish in the last 2 years. And there are some that I just can't go without now. And I keep more wild type than domestic. But there is still a appreciation for the work put into the domestic strains we have today. I am not referring to the mutt domestic farm fancies guppies for example. 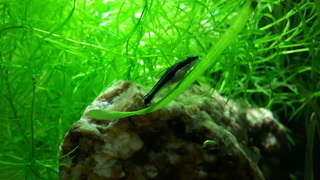 But the carefully selected and years of work some hobbyist have done to create some truly eye catching outstanding fish. Plus the work maintaining these fish afterwards. There are pro's and cons to both domestic and wild fish and sure I could go into all those. But I like working with both for different reasons and have done so for a long time now. But as I mentioned I am really enjoying the wild type in the last few years. We've discussed this before, but with different people active on the forum. I'm into wild types. I enjoy the challenge of breeding fish to keep them looking and ideally acting like they did when they first came out of nature. Mutation does not necessarily happen as quickly as many believe, and fish can stay very stable. Aspects of our hobby are on borrowed time. There are moves afoot in Europe to ban imports from the wild, and with groups like PETA receiving the support of a lot of people in North America, I can't see this not affecting us here. There are a whole series of reasons why I think such a ban would be foolish, especially from a conservation standpoint, but in the end, it will throw us back at the fishfarms for our fish. The farms are all about profit, to a degree that is destructive. Farmed fish are a disaster, health wise, and the full throttle push going on is GMO and hybrid manipulation of fish for market. Mollies are bred for spinal problems to be smaller, blood parrots have deformed mouths so they can't bite, and so on. If hobbyists 30 years from now aren't going to be stuck with nothing but Petland/Walmart fish, we have to get off the bandwagon and define what we do. So whatever side we fall on, if we take the hobby seriously, we'd best get good at it. Line bred or wild types, we may soon face a scene where the only good fish can't be found in stores and go through 'cottage industry' breeders. Rainbowfish are already pretty well there, and killies have been there since the start. Your hit the nail right on the head Gary, not only on the nature conservation aspect, but the hobby conservation aspect as well. 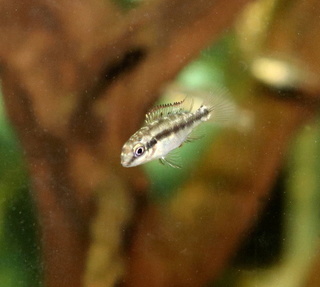 You might also want to add wild type live bearers to that list, as they are fairly hard to find in the average store. Very true vince. Many of the wild type livebearer fish can be very hard to find and would never be found in a store. And preserving them for future generations is always a good thing. It's a mixed bag. Many of these wild types would now be completely extinct were it not for the help of people like many of you who keep them going. Does that mean I am for intervention??? Yes and no. I have those GMO fish in my tanks. I like some of them BUT, had I known then what I know now, I would NEVER have supported the practice by buying into it. But, I have them, I will keep them BUT attempt to educate on why I believe it is all wrong. Coming from professional dog breeding and showing I certainly appreciate what our generations started with. In dogs we have written standards and they were all about form and function. These dogs ALL had a function, even if it was only to keep the ladies feet warm as in the case of the Chinese Hairless Cresteds. Fortunately, responsible breeders realized that this hairless gene also had some fatal traits so responsible breeders kept things more healthy by breeding with the powder puff versions. The Ugly Dog contests show what happens to this breed when hairless is bred to hairless over and over. Sadly, far too many people breed these different breeds exaggerating the differences with no regard to the health aspects of what they are creating. There are far too many breeds in peril. My first French Bulldog 30 years ago was a wonderful dog... she did everything "real" dogs did, swam, hiked, ate normally and BREATHED normally. My only surviving Frenchie is 2 years old...he cannot run because his legs are bent at terrible angles, something someone thought would make him look more "bully". He is permanently lame from these skeletal issues, but I guess it doesn't matter because his short nose is so exaggerated that he couldn't possibly breathe if he were to try to run. His back has been so shortened he sinks like a bowling ball in water. Yes, I neutered him and he IS a decent pet as he is a sweet dog. 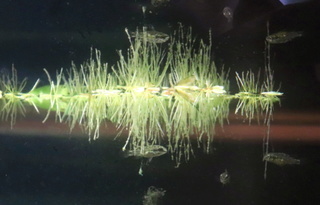 While the fish hobby doesn't have these strict written standards breeders follow in many species, the same problems exist when these mutations are purposefully bred for in the offspring. Parrots are a classic example as noted above, the bulldogs of the fish hobby. Dyeing and tattooing and such are also problems in the show dog world. It doesn't work there any better than it does in our fish. You shouldn't mess with Mother Nature and Father Time, it will bite you in the end, if it can still bite!!! When I look at other forums, especially from the USA, I am kind of fascinated by how fish are seen. There is such a strong push to see fish like dogs. I am not including that you said above nylevalam - that is not the point. It just reminded me of what bothers me in a lot of posts elsewhere, by touching the same subject. I agree with your post, because we do see irresponsible breeding of fish like the poor standards that bedevil dogs. We don't want to end up with breeds of fish. We need species. And if we don't understand the differences, we miss a lot of key information. The test tube breeding being done in Asian fishfarms is creating a misconception that rampant hybridization can happen anywhere. It can happen, but in a limited fashion with species recently (in relative terms) differentiated. It seems sad that in a period when we have so much more info on genetics than our ancestors did, we understand so much less of basic genetics than aquarists did even 20 years ago. The farms have tried many many combinations, I am sure, and only a few have made it to market. I'm sure they are sticking jellyfish genes and electric blue genes in lots of species, and not getting marketable results except with a few. It's big money stuff. It'll be tried, all patents aside. We could easily walk into a pet store and find not one fish with a direct line to the wild. Narrowing down to ten or so species and bunch of breeds would be lucrative to the big chains, who want fish x in tank y, all the way across the continent in standardized tank set ups. Fish are units there. Vince said it was hard to find wild livebearers in local stores. At times, and in many places, it is getting hard to find local stores. When I walk into pet whatever in Bangor Maine, every tank is identical in stock and placement to Petwhatever in Plattsburgh, NY, Burlington Vt, Portsmouth NH, and most likely LA, Houston and Miami. I like diversity, in fish species and in my choice of them. Ah well. All of my fish are wild through Belowwater in Montreal, or bred by club members and people like I meet here. I support my local stores through dry goods, equipment and food. Some of my favourite fish are here because of CAC or Canadaquaria trades and sales. There already is an alternative 'economy' we can plug into. Well said Gary. I can only echo your points about the disappearing local fish store, as well as the "breeds" of fish showing up in tanks everywhere. I was dismayed yesterday when I saw my first tank of "balloon" boesemani rainbowfish, while making some fishy visits in a neighbouring city I don't usually get to more than a couple of times per year. All I could think of when I saw their drab colors, and compressed form was "how can anybody want these fish?" ... Of course I could compare them to the first imports that I saw about 30 years ago when I was fortunate to work in a family owned fish store that took pride in the fish they brought in and how they cared for them. I swear they were 4+ inches long and were the color of royalty back then, in their purple and gold! Anyway, I do prefer wild caught and try to obtain them whenever I can. Occasionally I will find a domesticated variety that does catch my eye, however; I quite liked the red eyed koi swordtails when they first came in a few years back. 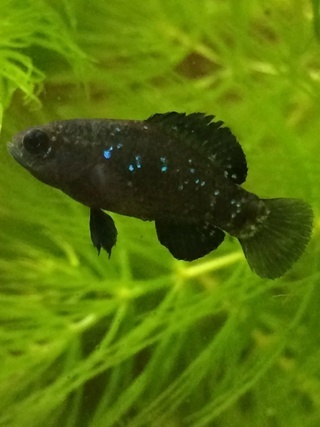 Unfortunately, even these have been watered down to the point that the ones that show up at the lfs are already of such poor color and quality they're not worth obtaining. It's ironic that domesticated livebearers are many beginning fishkeepers first fish, yet they are so challenging to maintain over generations. Thankfully there are still a handful of places to obtain quality fish, both wild and domesticated forms. As you say though, it will increasingly fall on the shoulders of dedicated hobbyists to keep what we most appreciate.